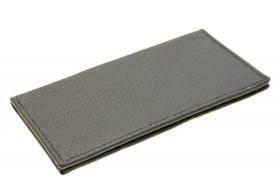 Women's checkbook clutch wallet. 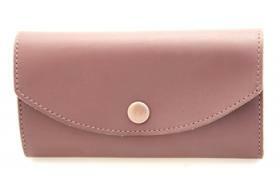 Features 1 button snap closed currency compartment, 1 bill length compartment, 3 credit card slots, an ID slot, a checkbook compartment with a plastic carbon copy separator. Secure button snap closure. 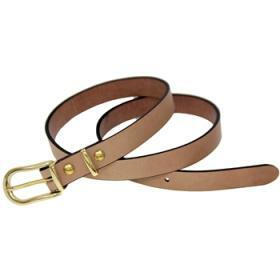 Men or womens 1" wide plain leather belt. Gorgeous buffalo leather in Ecru Tan color has a unique grain effect and a subtle pull-up effect, providing for a sharp, contemporary look. The leather is soft and supple, making it a perfect choice for a dress or casual attire. 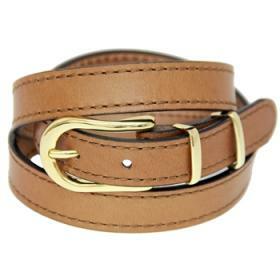 Men or women's 1" wide stitched leather belt. Gorgeous buffalo leather in Camel brown color has a unique grain effect and a subtle pull-up effect, providing for a sharp, contemporary look. The leather is soft and supple, making it a perfect choice for a dress or casual attire.